Smooth leather outer. Fully lined with genuine sheepskin.Approximate boot shaft height: 7". Limit 5 pairs of this style per household. Boots feature materials that are not waterproof.UGG Australia Style 1873. 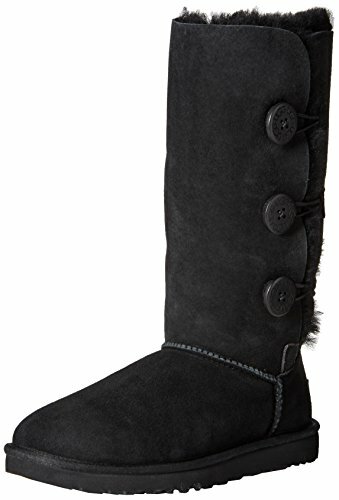 Modern side button tall boot. Smooth leather outer.